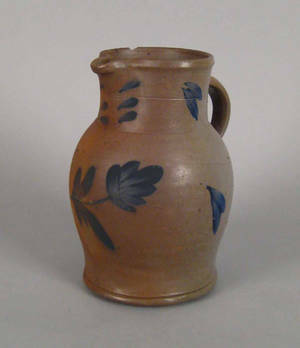 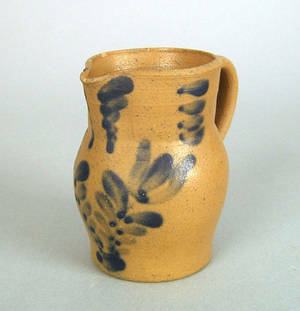 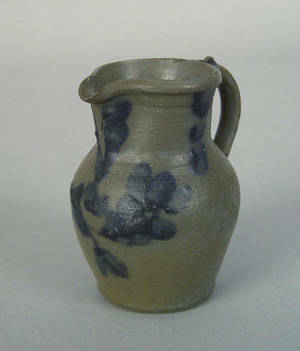 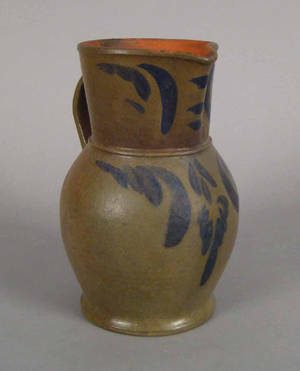 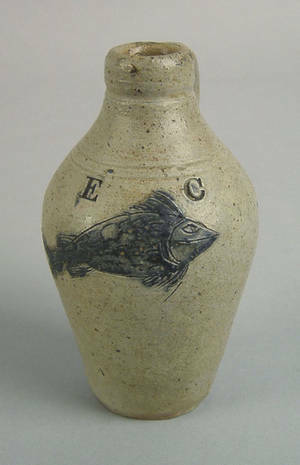 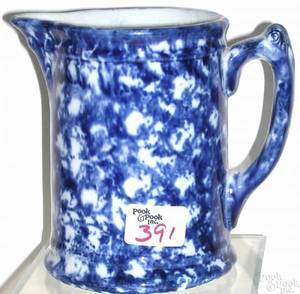 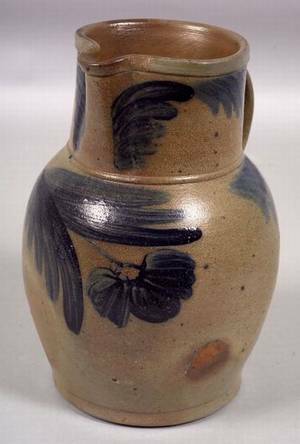 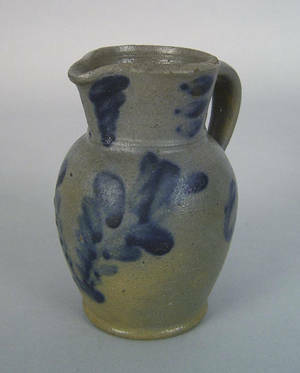 Miniature blue decorated stoneware pitcher, ca. 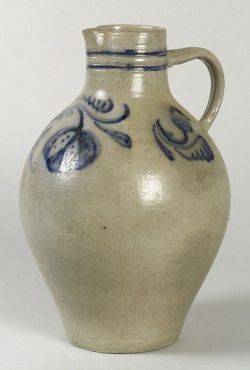 1880 , with blue flroal decoration on front and manganese slip on the strap handle, the base inscribed "G.S. 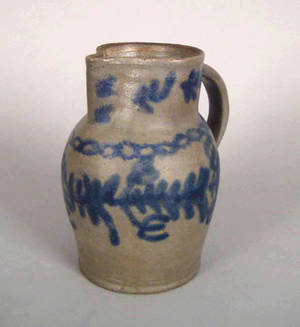 ", 3" h.
Pennsylvania miniature blue decorated stoneware pitcher, late 19th c.
New York miniature blue decorated stoneware jug, 19th c.
Virginia blue decorated stoneware pitcher, 19th c.
Pennsylvania blue decorated stoneware pitcher, 19th c.
Blue decorated stoneware pitcher, 19th c.